- Wine tasting in a winery for all the persons. The villa features a private pool completely fenced, a private garden and parking. Wi-Fi available. 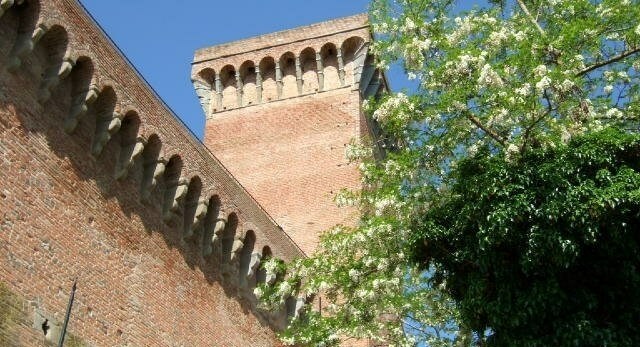 10.30 - visit of the Castle and the Tower of Marciano from where it will be possible to admire the beautiful panorama over the ValdiChiana. Inside the Tower there is the plastic of the "Scannagallo Battle" which took place in the area on 1554 between the French -Siena army against the Spanish – Florentine army. This battle was decisive for the conquest of Siena by the Florentines, event destined to forever change the history of Tuscany. h 11.30 - visit of the cellar Santa Vittoria and wine tasting (5 local wines) combined with typical products. h 13.00 - return to our office in Marciano della Chiana. The day of the visit will be fixed at time of booking. Discovering Tuscan territory, Eurocasa Tours and Services.